We still look good in our swimwear. 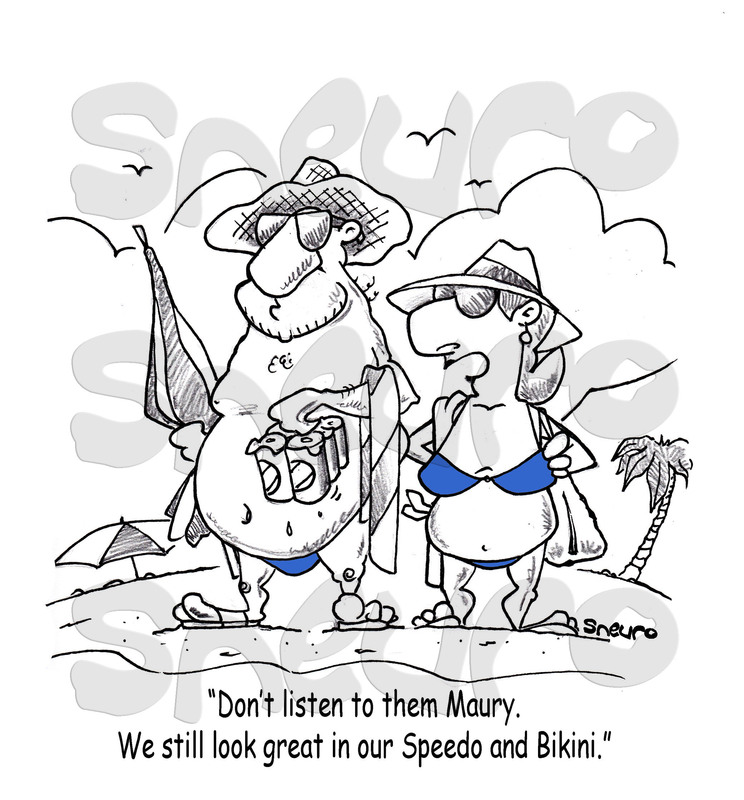 Is it because we’re to cheap or too lazy, or do we really believe we still have the body for that Speedo and Bikini? All illusions aside, let’s have fun on the beach. But let’s hope not to lose any bits in front of children’s eyes.